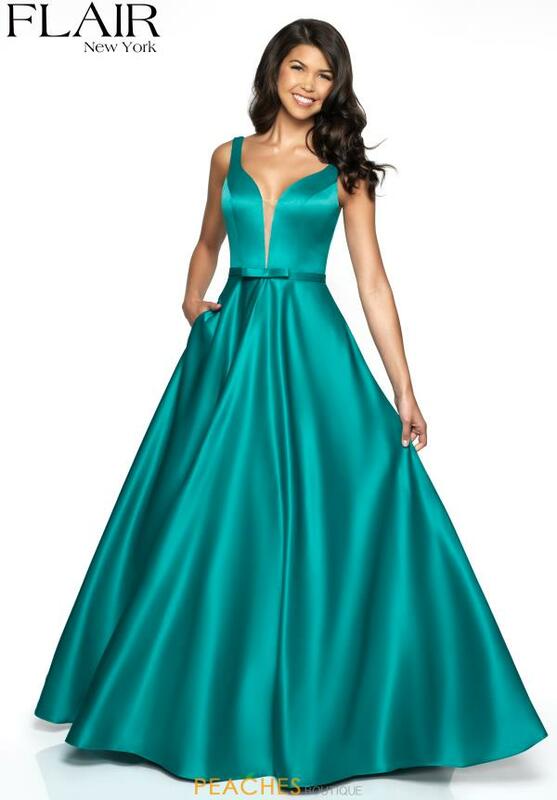 Regal prom dress 19017 will have you dancing all night at this year's prom. 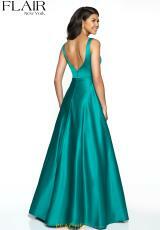 Sophisticated and classic, this enchanting gown features a low v neckline and a line silhouette. Flattering on all figures, this graceful satin a line skirt showcases edgy side pockets that add a charismatic touch. Shop for this dress and more at Peaches Boutique.